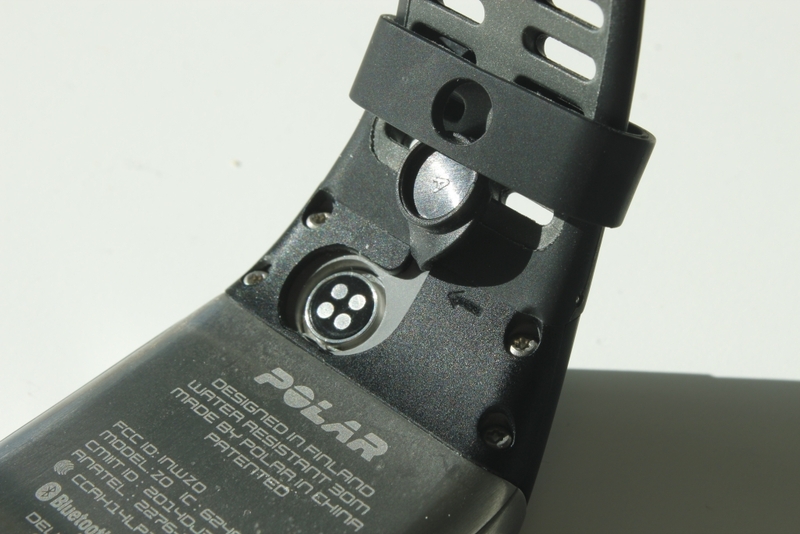 Polar's top model tested out. 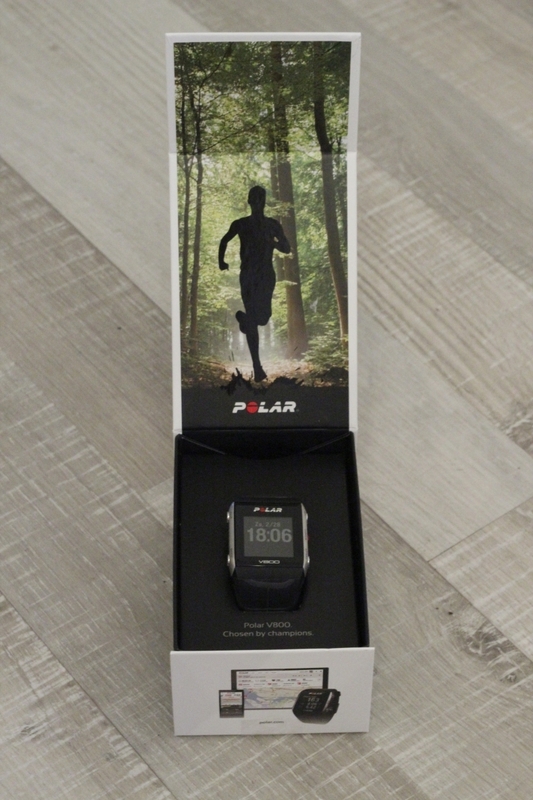 Polar was kind enough to lend me a V800 to do this review. I was very pleased with this, but soon I had a problem. As to be honest, I didn’t know where to start. The list of functions is simply overwhelming and Polar keeps adding new stuff to it. One thing that is obvious is that on looks this watch is a winner, the sleek black and metal make it very casual and not an attention seeker. It’s a bit big on my wrists, but as you may know, I have very tiny wrists. The screen is black and white and has excellent readability in very bright conditions. But on to the features! 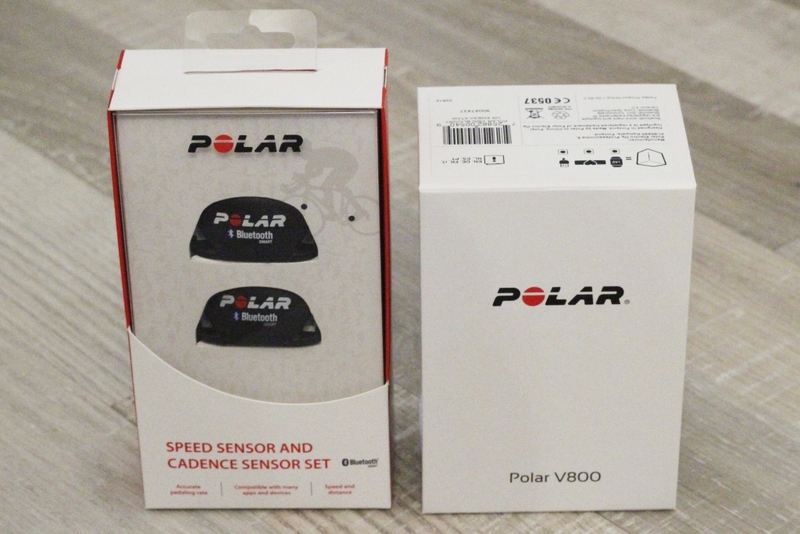 When the V800 was released the support for swimming was minimal, but Polar added swim metrics via a firmware update and is planning to increase the number of metrics and options. This is a really good selling point of the watch, there is active development on it, even today as I’m writing this, Polar released Smart Notifications when paired with iOS, but Android will be out soon. Anyway, back to swimming. Stroke wise, the V800 will recognize free stroke, back stroke, breast stroke and yes, butterflies (everyone’s favorite!). 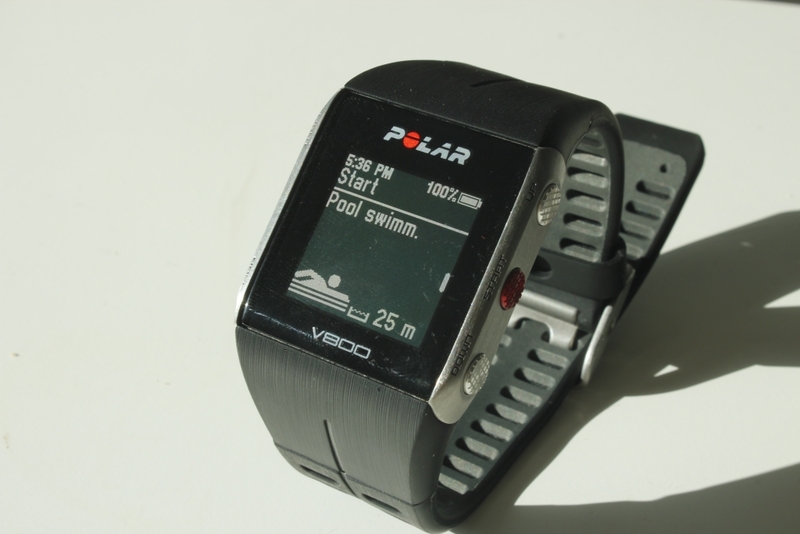 And as you may have guessed or already know, the watch will record your heart rate while swimming. So don’t leave the strap at home! The V800 by the pool with big numbers as watch face. 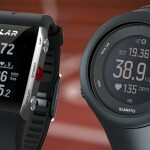 The recording for heart rate is quite accurate, even though the watch may not always display it, if the strap records it, it then syncs up with the watch again when it has a proper connection. So in the end your session will have all the HR info available. To start a swim, just pres the start button and choose “pool swim”. To change the lane length press the ‘light’ button for a bit until the quick menu appears. Lane length is almost at the bottom, so press up twice and then select your preferred length. It has presets for 25 or 50 meters and 25 yards, but you can also set a custom length with a maximum of 250m. 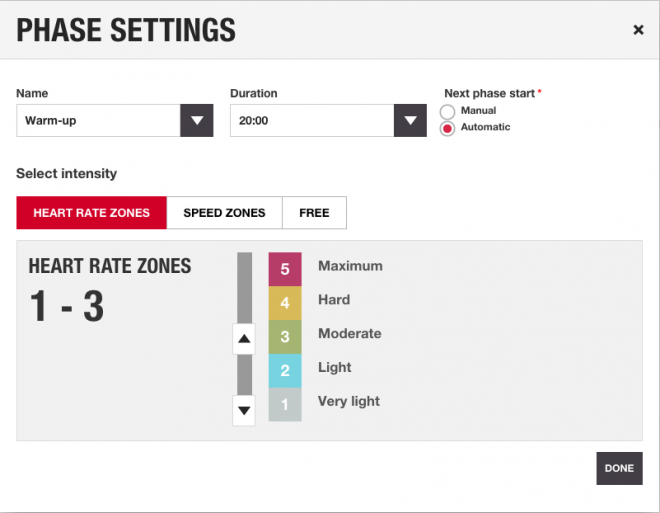 Check if you heart rate is working and press start again to start your actual session. A nice touch here is that when you actually don’t start a session the watch will remind you a minute later that the recording has not been started yet. This actually saved me a couple of times as I’m quite forgetful. For swimming you can use heart touch (more about this later) to enable the backlight, show your last lap or show the time of day and a tap can lap change the view or activate the backlight. You can set these preferences yourself in Flow. 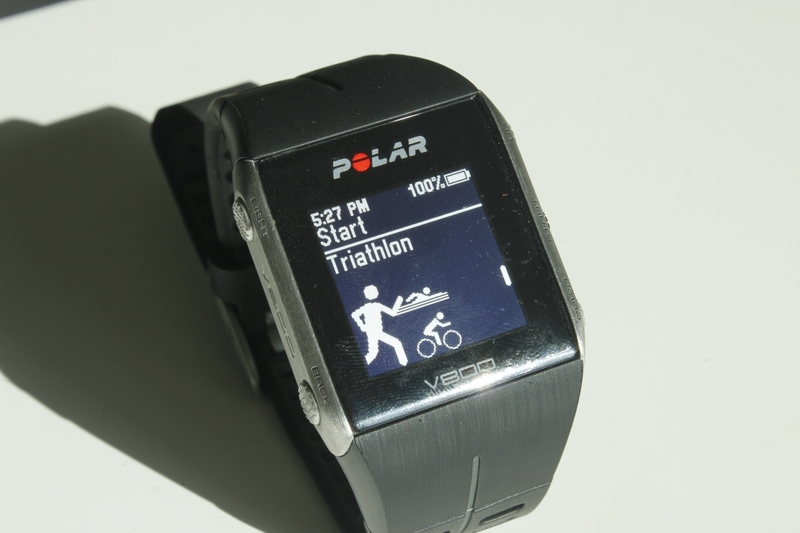 After your session you can sync the watch via your phone or the USB cable to Polar Flow. The details of your session are then available on all three. Via Diary you can see the sessions you did. A quick summary of your session. The calculated training load and recommended rest time. Another calculated value with an indiation of what the results of your session are. Via Start you can get a longer description. Going further, you get a heart zone breakdown. You can set the zones yourself if you want. Another Summary, this time on heart. Calories burnt an how much fat you used. Then come the average speeds. And for swimming the style breakdown. When you come to laps, you can see them one by one. With start you can cycle through the metrics of that lap. And per lap heart rate. Average and maximum pace of your lap too. 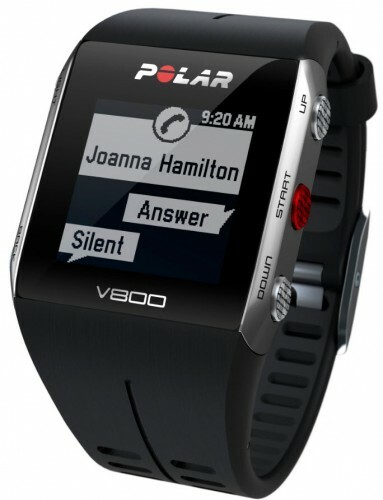 As you may expect the V800 supports all the regular data on the bike, speed, heart rate, cadence, power. And you can add a second bike (road / TT) to use separate sensors. 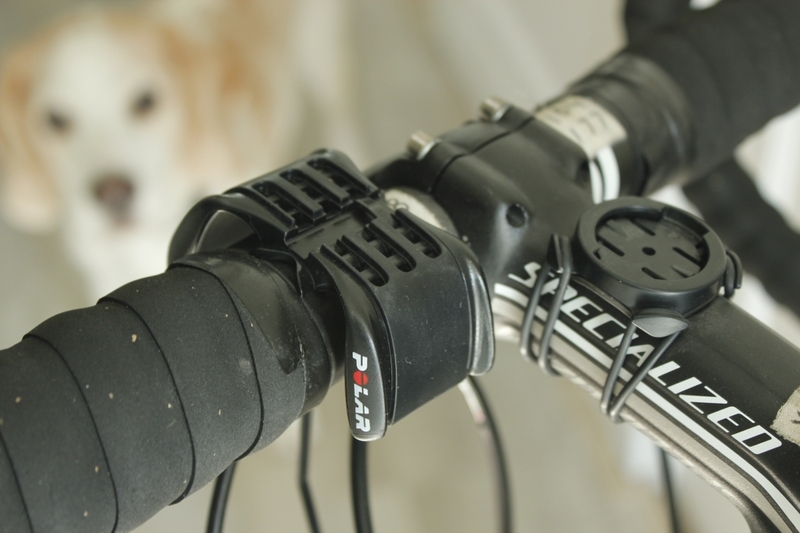 The Official Polar Watch mount uses two tie wraps to sit on your steer, with curious Beagle in the background. For a triathlete or when you stop for a coffee, this seems a bit unpractical, especially during races. But during a race, you might just want to leave the watch on your wrist. Last time I didn’t, I had a Garmin 910 with the quick release set and left the watch in T2, as I was in quite a rush, and as you may also know, I’m forgetful. (I did set a T2 PR tough!). The run metrics on the phone, click for the full image (it’s a lot bigger). Where the Garmin 920XT takes running cadence, vertical oscillation and steps from the HR-Run strap, Polar needs a (quite large) foot pod, and currently the market for Bluetooth foot pods isn’t that big. As the V800 doesn’t support ANT+ you can not use the S3 Sensor, You’re stuck with the BT pod, it’s available for $122. If you’re keen on running cadence and don’t want to use a foot pod, you can use the Wahoo Tickr X HR-strap, but this doesn’t work well with swimming. The watch has a ‘triathlon’ mode. 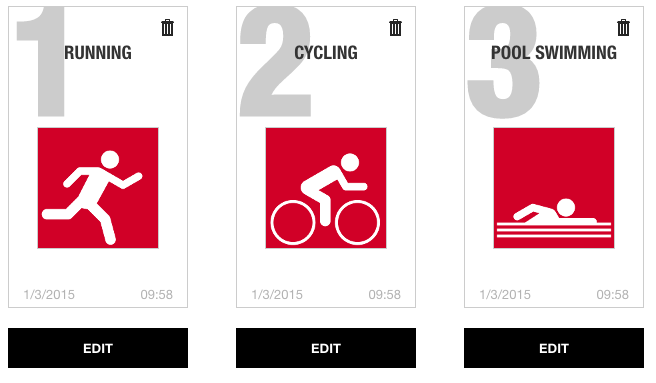 Where the it will automatically switch from swim, to bike, to run and measure your transition times as well. During this mode, you press ‘Back’ to enter transition and ‘Start’ to start your next part. 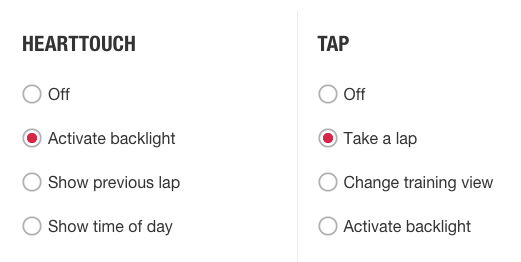 You can use the start button as normal, to mark laps, this might come in handy when you have multiple laps on the run or bike. HeartTouch is a feature where you tap or swipe the watch by your H7 Heart Rate monitor. This is a nice and easy way during a workout as you will have your other hand free (on the steer). But you can also easily do this during a run. The movement doesn’t differ a whole lot from your normal run. Polar uses a small tool to sync your sessions, you can do this via USB on your computer or via bluetooth on your smartphone. Updates and changes you make in Flow (like zones, display settings, etc) have to be done via your computer. One downside is that it will only sync to Polar. You have to manually download the file and upload it to Strava or other tool. However, on Polar has announced that this will be integrated soon. The flap opened, revealing the contacts. It will show up in your diary and when added to favorites you can pull it up from there too. For a swim, you can set the views just as you would for the bike and run, and you can also record your heart rate. You can also change the settings for the HeartTouch and Tap gestures, you can set them to enable the light, add a lap, or cycle through the views. 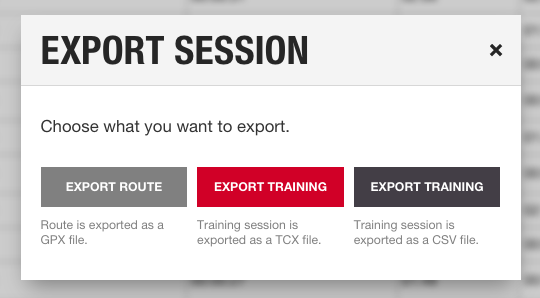 And finally It will also allow you to set training reminders during your sessions. This can be done by time, distance or calories. Especially helpful if you tend to forget like me. 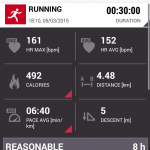 So besides all the cool stuff on your training, the V800 will track your daily activity too. It includes your training sessions and advises you if you need a walk, get up or do something else. It actually gives some suggestions. The suggestions are inspirational and some are a bit odd. I think they may have thrown them in there just for laughs, as I was suggested to do four hours of cleaning or one hour of washing dishes.. I got a feeling Polar was silently judging me for binging Game of Thrones. Sadly though I have not been able to get this on camera, so you’ll have to take my word for it. 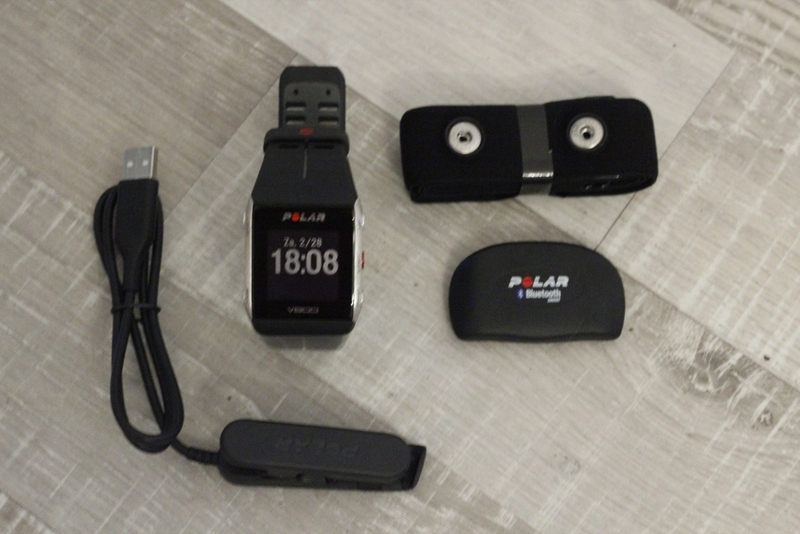 As I mentioned earlier, Polar is actively developing the firmware and it just released Smart Notifications. This allows you to see who’s calling but you can also see the notifications of other apps. 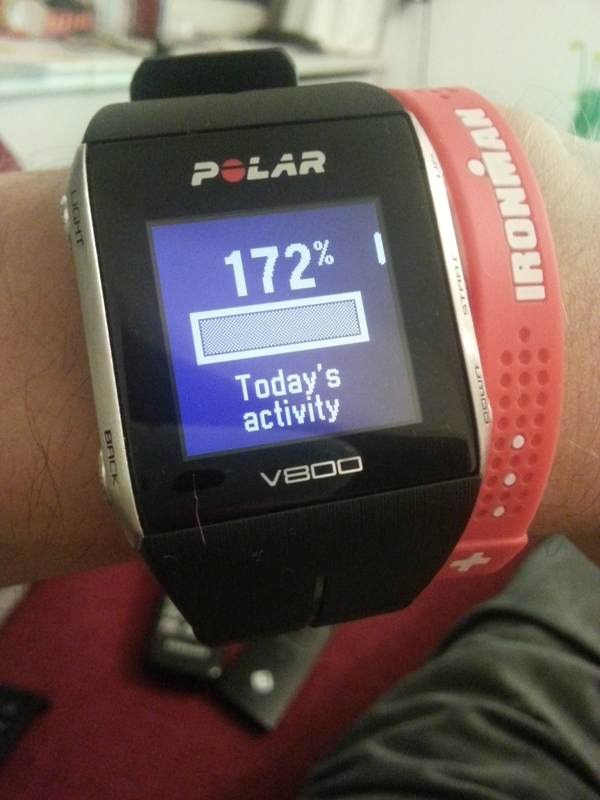 The Polar V800 is a good investment, and I’ve grown quite fond of it over the past few weeks. Wether you’re a top AG athlete or just want to improve yourself, the watch adds value. Even if you have a coach the V800 with Flow allows your coach to see what you’ve been up to. With the planning features and reminders, it allows you to focus (or un-focus) and just do your session, not having to take a look if you need to start the next interval. On top of this, the continuous development on the watch is an absolute plus and the current range of features doesn’t really have a big hole anywhere. As with any HR watch you can buy the V800 with or without the HR strap. 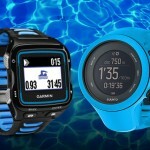 As it adds the heart rate recording during swimming it’s a good option to consider buying it in one bundle. If you want to buy the V800, please use one of the links here or from the sidebar to a shop as I get a small fee when you buy something. This allows me to write these articles! 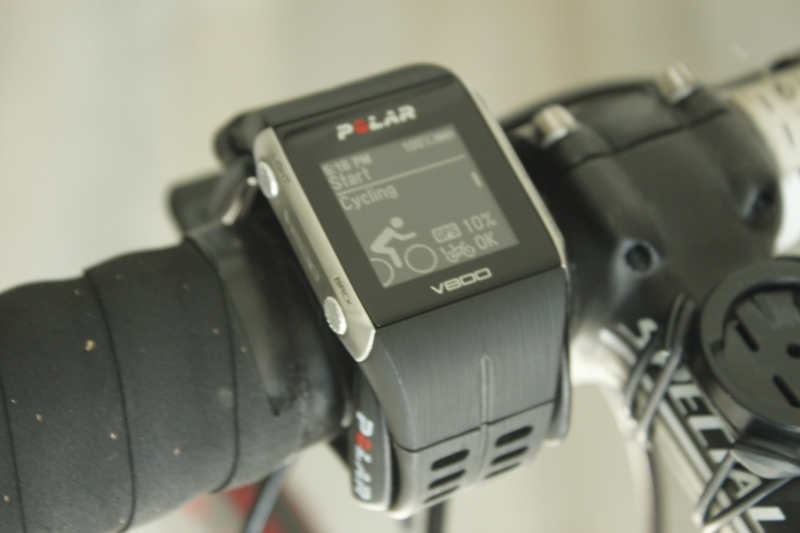 The Polar V800 stand alone is $359 at Amazon. If you want to do any reading yourself, the polar V800 manual is here. Great review. 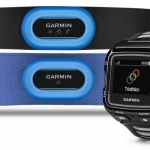 I am still using the Garmin 310xt and have been trying to decide between the Garmin 920xt and the Polar V800. 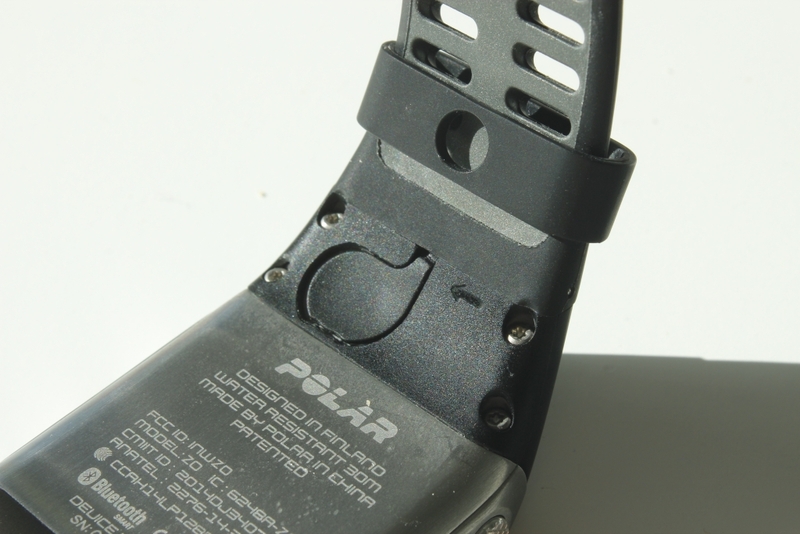 Since Garmin is ANT+ and Polar uses Bluetooth I will need to buy new sensors. By the way, I also left my Garmin on my bike at T2 during my last IM. recently there is constant fog under glass. I.e. watch is not waterproof! I went to service company in Israel- agnetek. I was told there is nothing to be done. better to buy new watch. I went to local watch maker told me to stop swimming with watch. 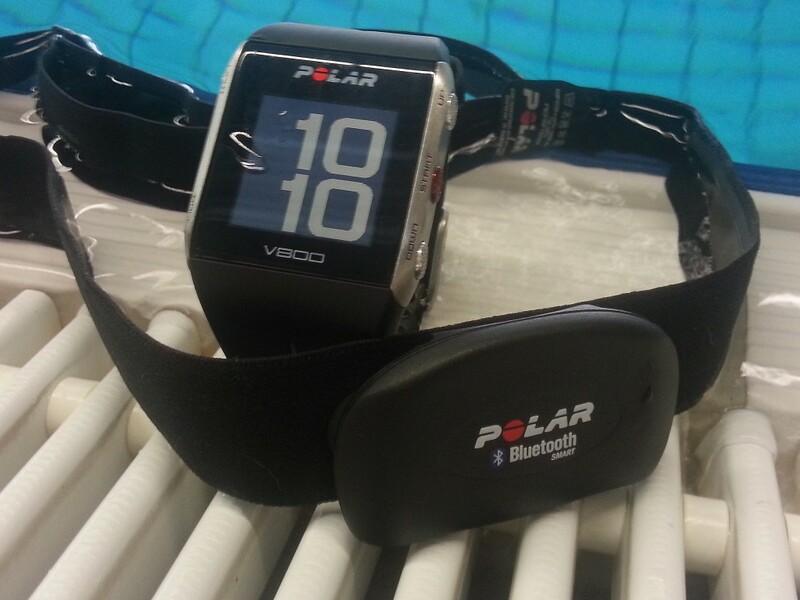 I bought this polar v800 because it gives me information in real time when swimming.